Della Shaw-Elder has just returned from Halmstad, Sweden after completing the International Weightlifting Federation (IWF) Female Train-the-Trainer Course. IWF organised the first edition of Train the Trainers course in 2015 and now their focus is to pro­mote more women as IWF course instructors. Della joined 11 other internation­al women coaches in attending the IWF Club Coach Course Level One and National Coach Course Level Two. “I’ve been involved at the club and national level as a coach and I’m happy to have this oppor­tunity to become an International coach,” said Shaw-Elder. Della is currently the only female category one referee in the Pacific region and has also been working as a coach, over the past 15 years. She has been instrumental in growing the sport of weightlift­ing around the country in 2018, Weightlifitng Fiji says. This qualification will help her not only locally but within the re­gion as well. 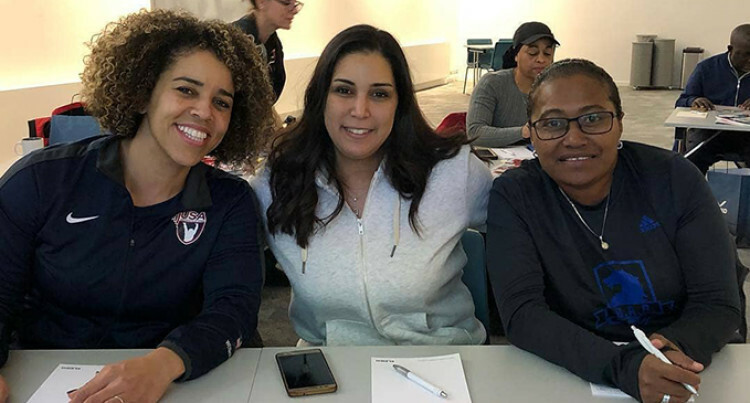 The workshop was conducted by Lyn Jones and Kyle Pierce, IWF’s Coaching and Research Commit­tee Members and authors of the IWF Club Coach Manual.